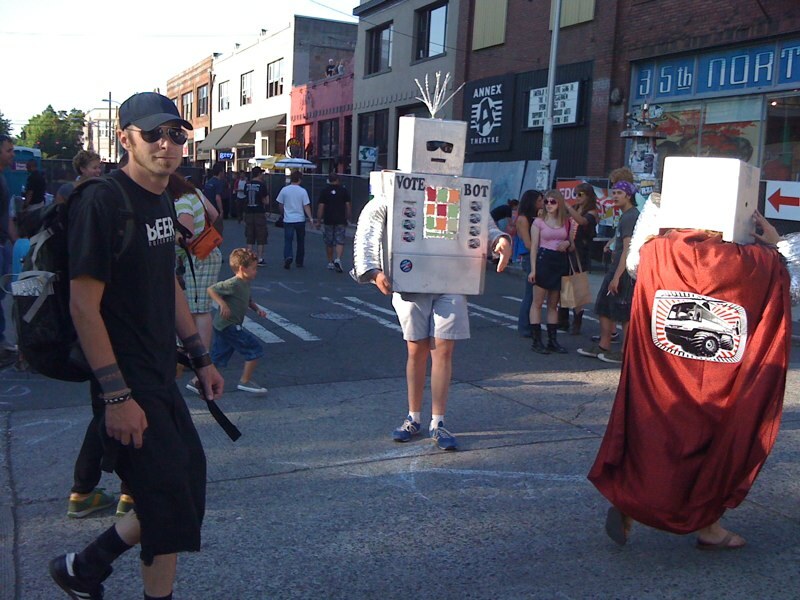 Here’s a ‘tweeted’ view of Day 1 at the Capitol Hill Block Party. Check out these CHBP nerd tools for a Twitter stream of observations, etc. from the crowd and more. 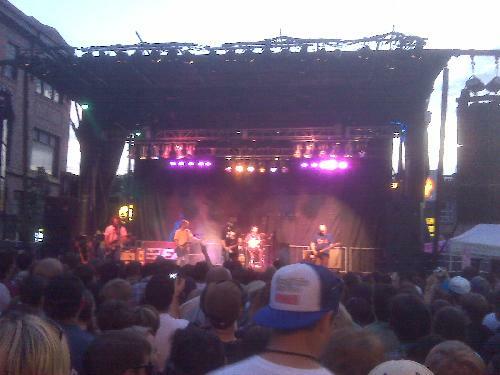 Also, a report on this year’s opening day from Travis Hay of Ear Candy, below. 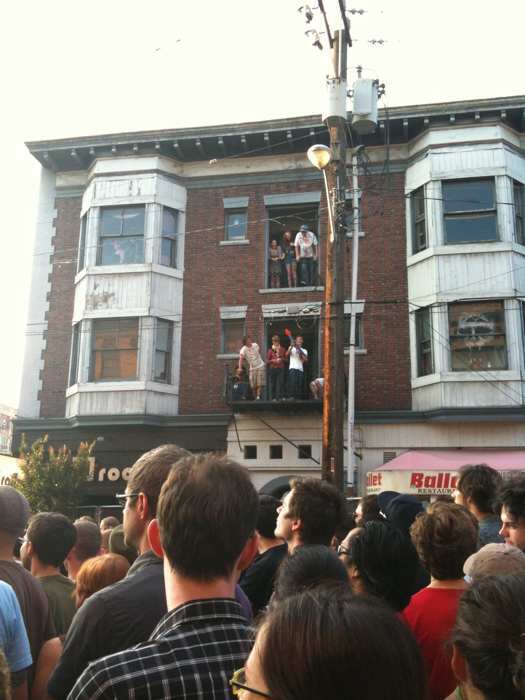 The first day of Capitol Hill Block Party 2009 was about logistics. And music, of course. This first day wasn’t as crowded as last year’s first day which made for nice access in and out of venues and stage areas. The new layout worked well and the decision to make Neumos 21 and older made for a tolerable crowd size there too, which was a welcome change from last year’s fest. I got a tip about a special KEXP stage sponsored by Caffe Vita and the Seattle Times so I headed there right away. 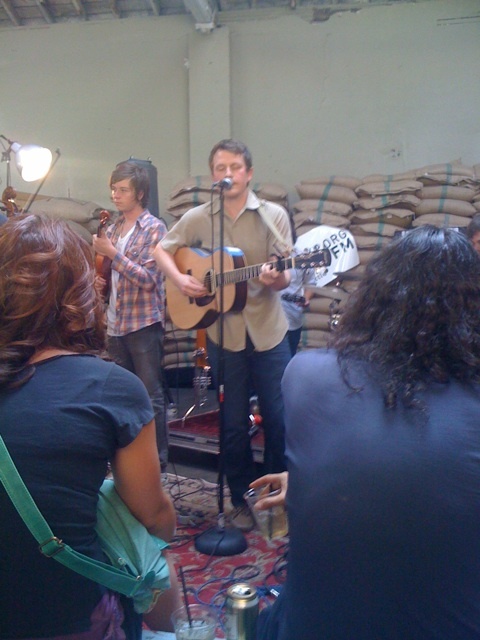 The stage, which required a special ticket, was in front of hundreds of bags of coffee beans, making it perhaps the most appropriately Seattle stage ever. A band whose music I will be looking into ASAP is Band of Skulls. This UK trio played the best set I saw in the afternoon. It was outright massive and loud rock. But it wasn’t just me who was won over by their unabashed rock asssault, They managed to impress nearly every one of my fellow music jounos who saw them on the Neumos stage. If their album Baby Darling Doll Face Honey is half as good as their live set was it will easily be one of my favorite albums of the year. The last set of the night I saw was They Live! and it is not a stretch at all to say these guys are going to be big. Get them on the right tour or get them the right amount of exposure and they will blow up, so see them while you can. 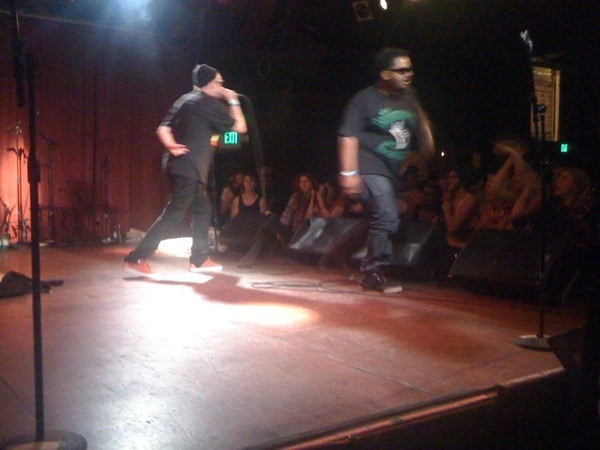 There is nothing happening in Seattle right now that can match They Live!’s energy, stage presence and rapping skills. Be warned Seattle, your next rap superstars are here and they are They Live!